Preview: Volvo S90, Volvos luxury sedan applecart upsetter? The premium sedan game is long preserve of the Audi A6, BMW 5-Series and the Mercedes-Benz E-Class. 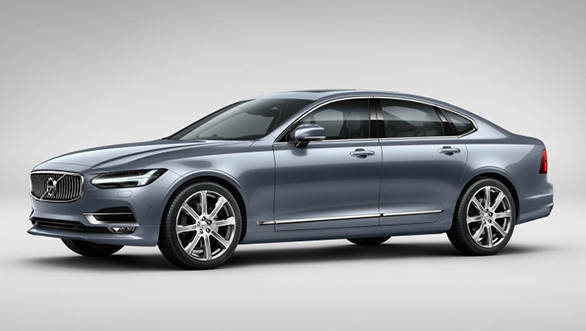 However, after a brief hiatus, Volvo returns to the game with the new Volvo S90, set for its global debut in June 2016. The Volvo S90 unveiled at the 2016 North American International Auto Show (NAIAS) in January 2016. The Volvo S90 follows the sophisticated and stylish S80 as the new flagship model and is expected to arrive by the end of 2016 in India. 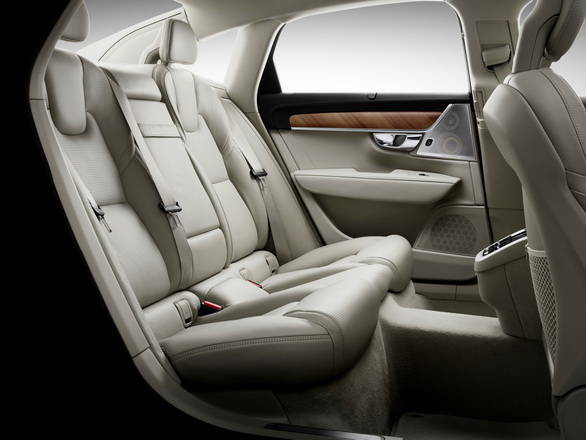 The Volvo S90 is based on the Volvo's new Scalable Platform Architecture (SPA). This is the same platform that underpins the XC90 SUV. Given just how impressive the Volvo XC90 proved to be (Read our Volvo XC90 review here), the Volvo S90 promises to be insanely good at being a flagship luxury sedan too. However, what's likely to steal the limelight, at least in the international stories, is the new autonomous driving mode. The main highlight of the all-new Volvo S90 has to be its design language. 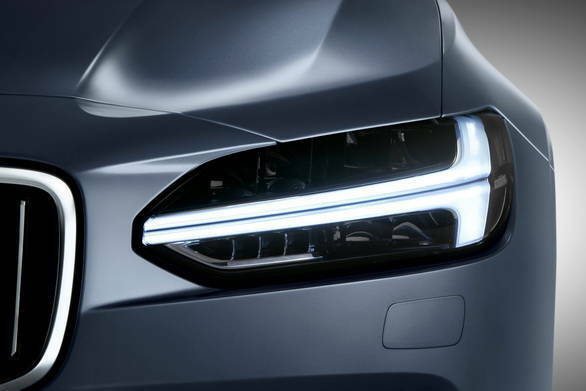 The front inspired by the Volvo XC90, the S90 too features LED headlights with Thor's hammer-styled daytime running lights. 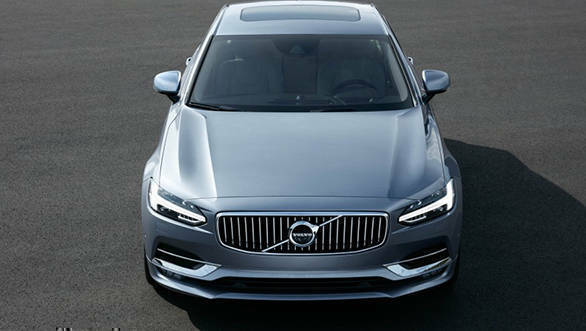 The front gets a large concave grille, which according to Volvo, is a tribute to its classic P1800. It gets a long elegant roofline with sophisticated lines running along its length. The rear looks stunning with the new C-shaped lights and an array of lines running along the width of the boot lid. It also gets large chrome-treated exhaust openings. The new Volvo S90 measures 4,963mm in length, 1,442mm in height and 2,019mm in width, making it longer by 109mm, shorter by 51mm and wider by 112mm compared to the S80. Even the wheelbase has gone up from 2,835mm to 2,941mm. Volvo has used high-grade materials and wooden veneers on the dashboard. The highlight of the interior is the large touchscreen infotainment system shared with the XC90 SUV which features Volvo's Sensus user interface. In addition to the regular music, telephone and satellite navigation options, it can also control various other vehicle functions like drive mode selector, change heads-up display position, adjust wiper settings, tyre pressure monitoring system, lane departure warning and many more. The touchscreen infotainment screen will be offered as standard on all variants. We have already explained this system in one of our earlier articles (You can read about it here). 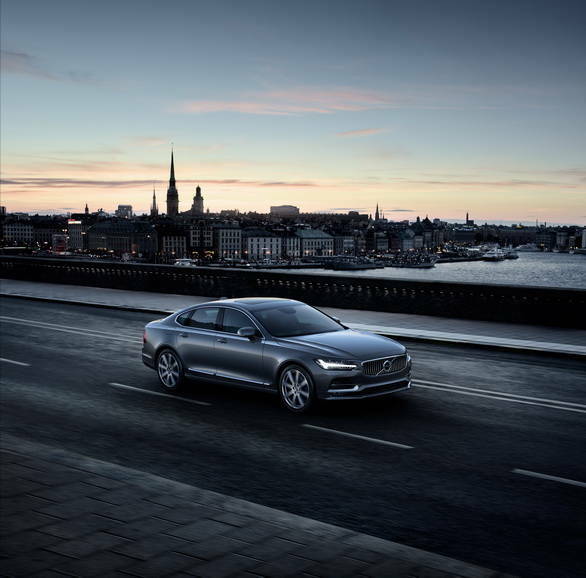 Volvo, known for the best of safety features in its cars, will offer a host of options in the S90 too. Some of them are listed below. City Safety: This feature detects a collision risk if the car is approaching slower moving or stationary vehicles from behind and automatically applies brakes. Active high beam: The active high beam automatically reacts to oncoming cars and adjusts high/low beam light accordingly. Large animal detection: In addition to detecting pedestrians and vehicles, the new S90 also comes with this unique feature that detects animals like deer on the road and intervenes by braking if it is dangerously close to the vehicle. Pilot Assist: It is a second generation semi-autonomous feature which will be offered as standard across variants. This system helps maintain a set distance or speed according to the car in front. It will also get steering assist, a feature that monitors lane markings and accordingly provides steering inputs. It will be operational at speed of up to 130kmph. The Pilot Assist is part of Volvo's Vision 2020 that intends to eliminate deaths and serious injuries in its cars. The Volvo S80 was offered with a range of engines which include the 3.2-litre petrol and the 2.4-litre diesel, while the S90 gets 2.0-litre engine options. The 2.0-litre diesel that powers the XC90 will also be one of the powertrain options. Similar to the SUV, this one too makes 225PS/470Nm and comes mated to an 8-speed automatic transmission. We have already sampled this motor and didn't find it exciting enough for an SUV (Read our Volvo XC90 review here). 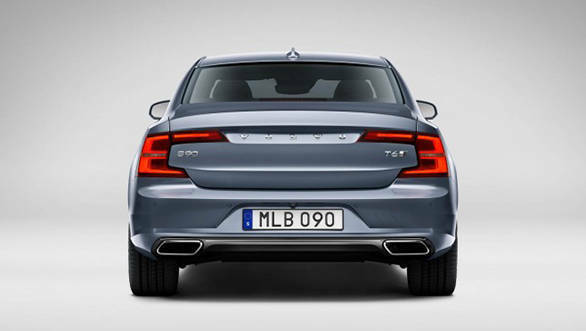 Since the S90 is lighter by 200kg, the performance of the motor might feel different. The international spec model is offered with a supercharged T6 that churns out 316PS/400Nm as well as a 407PS plug-in hybrid T8 petrol version. 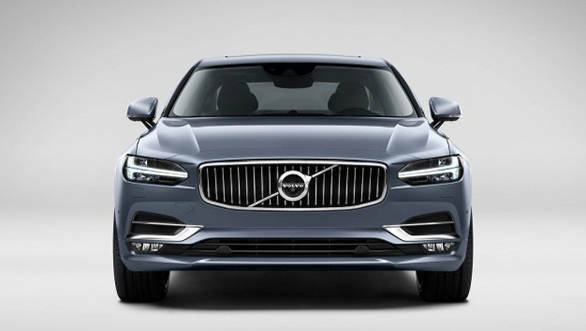 But Volvo might play it safe by initially launching the S90 with the same 2.0-litre diesel unit of the XC90 in India and then add powerful options on demand. In India, the Volvo S90 will face competition from the Jaguar XF (Rs 51.19 lakh to Rs 59.97 lakh), Mercedes-Benz E Class (Rs 48.50 lakh to Rs 61.75 lakh) and BMW 5-series (Rs 44.90 lakh to Rs 59.90 lakh) - all prices ex-Mumbai. We expect the Volvo S90 to be priced between Rs 50 lakh - Rs 60 lakh. Volvo India is likely to bring the S90 by the end of this year. The company will also go aggressive on the dealership expansion plan. Presently, the brand has 16 showrooms in the country and plans to extend its presence in the Tier-II cities as well.